I've come across a lot of job listings that play up perks like they are advertising a trip to Disneyland. It makes sense considering that many companies are trying to attract millennial talent, and millennials just happen to be the group that look for and change jobs most often. But should new job hunters really be excited about perks like unlimited vacation, social events, and well-stocked snack rooms? While these are certainly all nice, they aren't the most important job perks you should seek out. Instead, look for a job with these benefits. It is never too early to get serious about retirement. Don't get hung up on the fact that you aren't in your dream job or that you don't think you have enough money yet to set aside. 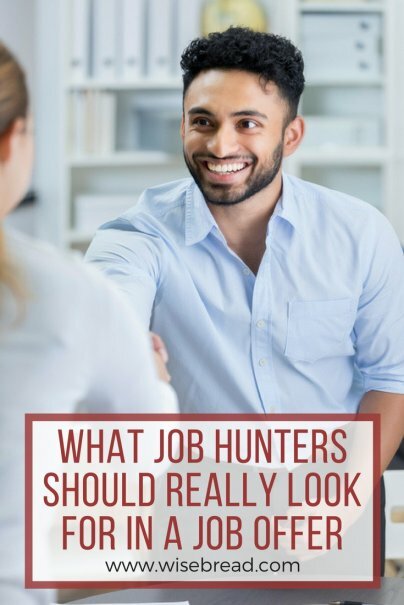 When evaluating potential job offers, look for a company that offers a defined contribution plan like a 401(k), or a 403(b) or 457(b) plan for employees in specialized fields. If you can find an employer that offers a company match on retirement contributions, even better. A match is basically free money, so long as you contribute enough to take advantage of it. The boost this perk can have to your retirement fund is huge. The best thing my husband ever did was take a position with the company he works for now instead of finishing his bachelor's degree. The position was entry-level and only required a few years of technology experience rather than a formal degree. Because of this, his work paid for him to finish his bachelor's degree and get his master's degree, along with other expensive professional training. Not only has this saved our family a lot of money and potential debt, but his degrees have also allowed him to continually get promoted in his company and earn almost double than what he started out making. This is not to say to skip college — but instead, to consider taking a lower-paying position that offers to pay for your higher education. It could save you tens of thousands of dollars overall. What might seem like an unassuming commute can add up quickly in gas, car wear, and other transportation costs. You may wish to negotiate a stipend for commuting before signing your work contract, especially if the company wants you to travel frequently for work. Don't forget to ask about telecommuting, where you can complete essential tasks from the comfort of your home one or several days a week. Don't fall for fun perks like "Taco Tuesday" or "Bring Your Pet to Work Day." While these company add-ons make your work environment more fun, they don't boost your paycheck or your financial situation. Look for substance in your work perks, and you'll be more likely to come out ahead.